I have a new 24′ Seaswirl with an enclosed cockpit. I have noticed that I cannot remove the water spots from the outside or inside of the windshield or side windows. Windex does not do it. What do you suggest. Yours is a common problem. The infrared rays from the sun literally bake the salt onto the glass, making it very difficult to remove. 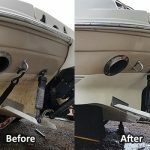 Sea salt will also corrode the aluminum top supports, rod holders and outriggers plus rust the stainless steel on your boat and pit the gelcoat. 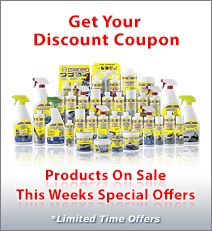 To start with I would suggest trying Kwik Shine with salt busters. It has great cleaning properties and will also dissolve the salt and convert it into a protective polish that will resist future attachment of salt. 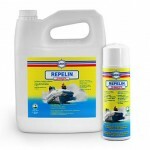 This is a very popular product for salt water boats for this reason. 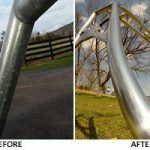 It can also be used to clean and protect metal surfaces and get the salt spots off the fiberglass before damage occurs. It is a spray and wipe product so it is fast and easy to use. If the sun has baked the salt into the glass and the Kwik Shine can not lift it then I would suggest using Algex. 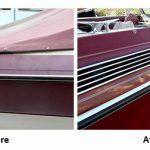 It is an acid based cleaner that is safe for use on glass, aluminum and gelcoat, so it won’t damage the rest of your boat if you accidentally get on another substrate. Use rubber gloves and spray it onto a cloth and carefully wipe it onto the affected glass. Allow it to work for about 20 minutes and rinse it off or wash it off with a cloth and fresh water. After you get the glass clean, protect it with Kwik Shine. Another benefit of Kwik Shine on your windshield is that it beads water for increased visibility. You won’t need your windshield wiper, even in a heavy rainstorm. 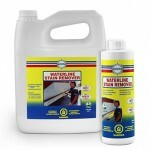 Also check out Sure Step for the non-skid decks of your boat and Premium Premium Boat Shine for the hull. 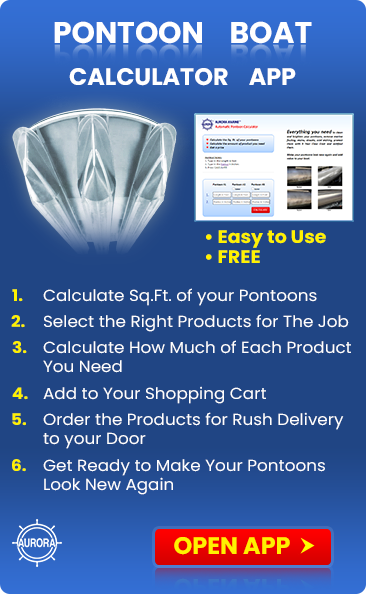 These products will also give your boat long-term protection against salt damage and keep the boat looking new.